The story of Noah is known around the globe and Darren Aronofsky’s take on it has people talking and debating. Poster Posse member Sharm Murugiah has just created a rather sublime image for the film and I absolutely think this MAY be Sharm’s best work to date. Noah is directed by Darren Aronofsky, written by Aronofsky and Ari Handel and based on the biblical story of Noah’s Ark. The film has an all-star cast including Russell Crowe as Noah along with Jennifer Connelly, Ray Winstone, Emma Watson, Logan Lerman, Anthony Hopkins , and Douglas Booth. 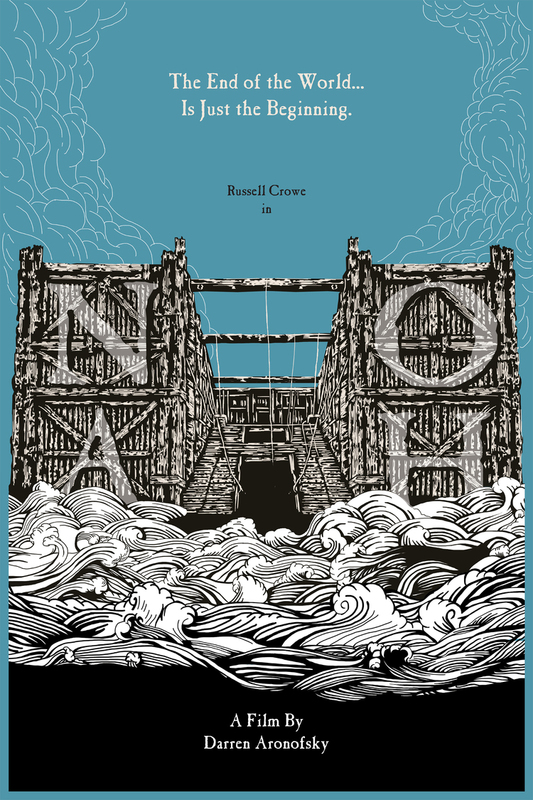 We want you to design a poster reimagining Darren Aronofsky’s Noah. Your drawing must be A4 (W21 x H29.7cm) at 400 dpi and can be either portrait or landscape. The winning entry, as judged by our in-house design team, will receive a special Darren Aronofsky Blu-ray collection. All entries will be included in a Facebook gallery after the competition has closed. Simply email your entry to competitions@tcolondon.com with the subject line ‘Noah poster competition’ before midnight on Thursday 10 April. 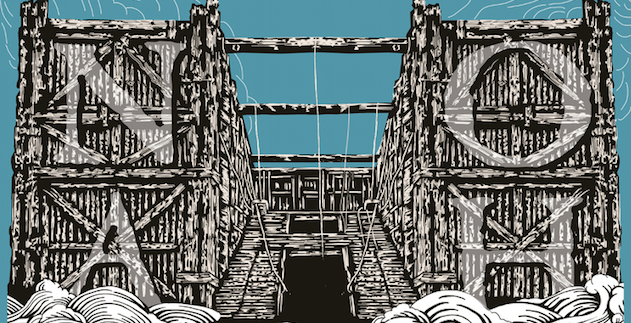 Alternatively you can tweet your poster to @LWLies, but please keep hold of a hi-res version of your design if doing so. This entry was posted in Art, Contest, Movies, Poster Posse, Posters and tagged Darren Aronofsky, Noah, Noah Poster Competition, Noah’s Ark, poster competition, poster contest, Poster Posse, Sharm Murugiah, The story of Noah. Bookmark the permalink.